Storage Capacity (Kilogram): .250 gms to 1 kg. 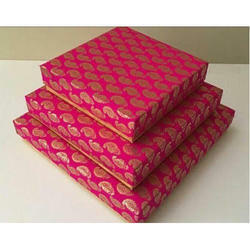 Enriched by our vast industrial experience in this business, we are involved in offering an enormous quality range of Paper Fancy Sweet Box. This Sweet Box has a flat base and ensures a sturdy built. 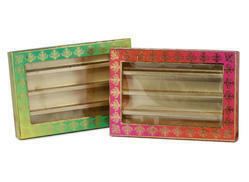 Greenhandle Golden Sweet Box, Size :10w X 10l X 1.5h"
Size: 10W x 10L x 1.5H"
Being one of the reputed organizations in the market, we are engaged in providing an exclusive range of Designer Sweet Box.